As many of you know by now, the latest ZX Spectrum competition called ZX-DEV conversions had been launched and already had seen a number of decent games in development that were hoping for a prize or two. 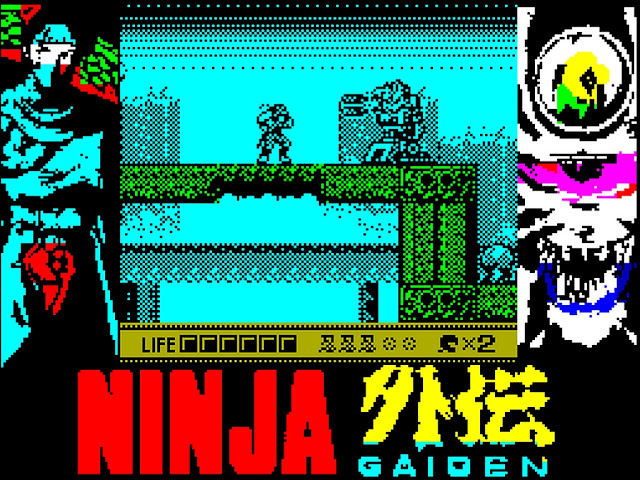 As the competition is still ongoing, we are still seeing new conversions appearing and one such game announced recently and called Ninja Gaiden Shadow Warriors by Jerri & DaRkHoRaCe, is a conversion of the Gameboy original which was released way back in 1991. The Gameboy version of Ninja Gaiden Shadow was set three years before the events of the first Ninja Gaiden released on the NES as a spinoff of the Ninja Gaiden series. 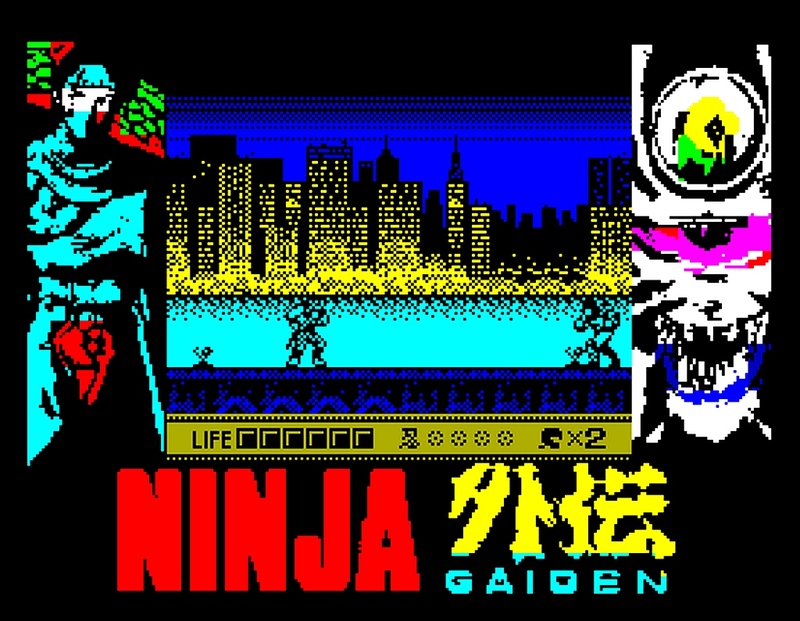 This new conversion looks equally impressive on the good ol' speccy, and will feature 5 levels of hard hack and slash ninja fighting, as well as multiple commands and moves for attack, jump, magic fire whirlwind and harpoon, with joystick and single button.... And that's pretty much all we know so far, as for a gameplay trailer that is hopefully due soon.